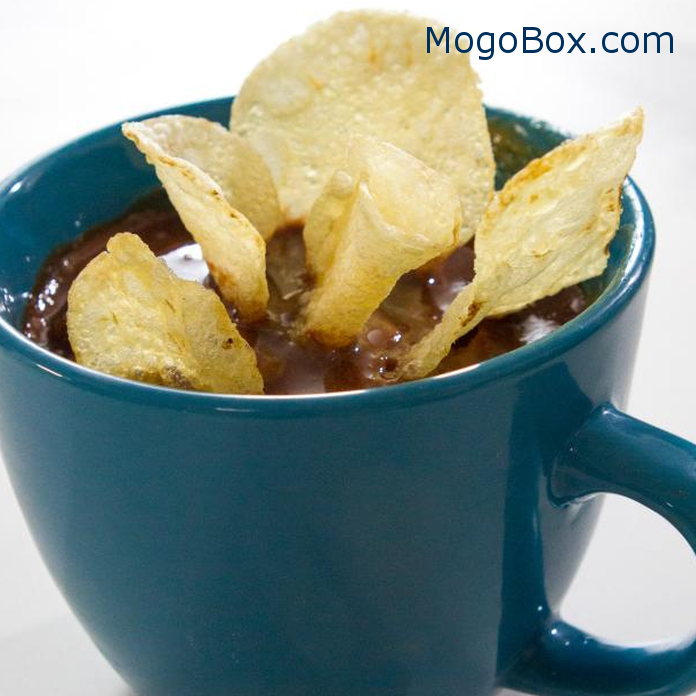 MogoBlog MogoLicious Tasty Tip of the Day: Satisfy your sweet salty cravings in a jiffy with this mug cake sprinkled with potato chips and chocolate. Make the mug cake: Whisk the peanut butter, granulated sugar, flour, baking powder and egg together in a medium bowl and then transfer to a mug. Microwave on high until puffed and set, 60 to 70 seconds. Let cool for 5 minutes. Meanwhile, make the frosting: Mix the powdered sugar and chocolate syrup together until smooth. Spoon the frosting over the cake. Crush a few potato chips over the top and insert a few whole chips into the frosting. Eat immediately. This entry was posted in MogoBlog, MogoLicious and tagged #MogoBlog, Chocolate, MogoBox, MogoLicious, Mug Cake, Peanut Butter, Potato Chips.